The DeFusco Dynamic Learning Center is a comprehensive pediatric- based educational facility that focuses on speech, language and reading issues. Specializing in cognitive and psycho-educational evaluations, treatment, and therapeutic plans specifically aimed at the remediation of speech, language, reading and other learning concerns. Elizabeth Molinari DeFusco has been in private practice for over 40 years and has worked with hospitals, legal teams, schools and Child Study Teams in the Monmouth and Middlesex County areas as an Independent Educational Consultant and Speech Pathologist. As a Speech Pathology graduate of Columbia University’s Teacher’s College, she went on to study at Georgian Court University where she received her credentials as a Learning Disabilities Teacher Consultant. Mrs. DeFusco, known by her students as “Mrs. Bette,” also holds certifications in Elementary Education as well as Teacher of the Deaf and Hard of Hearing. 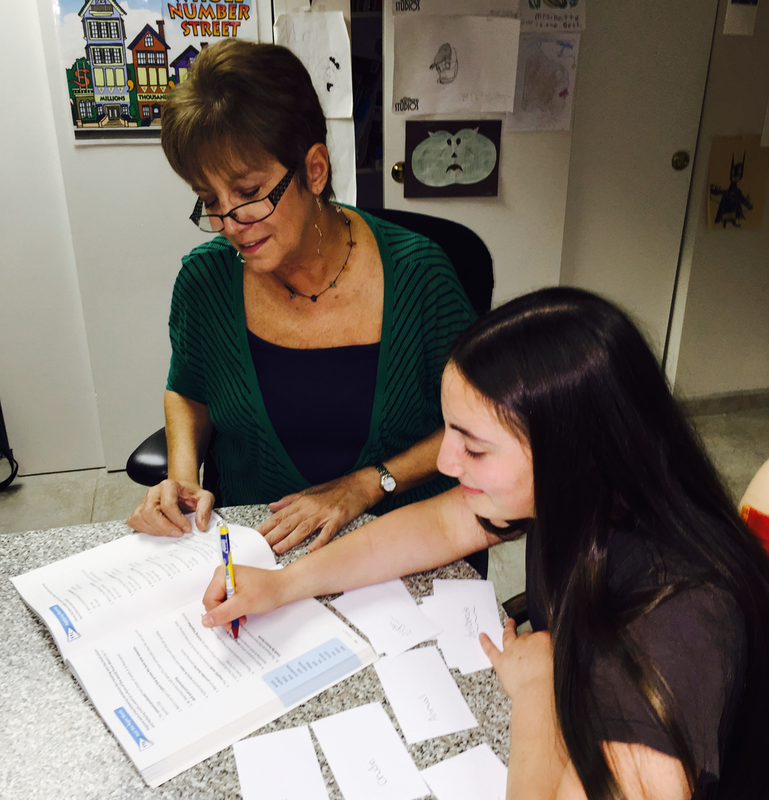 She is board certified by the American Speech and Language Association and holds a New Jersey license. DeFusco decided to sub specialize after she realized that while she could get her students to speak beautifully and develop age appropriate language skills, she noticed some were not doing well academically. Their reading needs were not being met by the schools in a time efficient manner. One approach does not necessarily work for all students, which is why she became an expert in various schools of thought about learning issues and reading programs. While schools do a good job at educating the general public, they are often slow to evaluate children in the younger grades, even when the children are demonstrating reading and/or learning difficulties. It’s not necessarily the school’s fault. If they test in the first or second grade, the child may not meet the stringent state guidelines for classification. However, a concept known as Response to Intervention (RTI), which is a three-tiered program should be introduced. Usually, this is a time-consuming process with valuable time wasted getting the dyslexic child into the 3rd tier. This is an area where DeFusco is a valuable resource. Her expertise allows her to evaluate a child, make a recommendation, develop a learning plan and execute it, often working in tandem with the school district to make sure the child succeeds. Mrs. DeFusco or “Mrs. Bette” has been an educator since 1977 with an exemplary background in treating and caring for children and young adults with minor to severe learning issues. With her unique educational background, Mrs. DeFusco is a highly trained tutor who specializes in dyslexia, reading comprehension, written language weaknesses, learning disabilities, auditory processing issues, as well as speech and language disorders including apraxia. She uses evidence-based techniques and cutting-edge technology programs to supply an individualized program for each child. Some of the school districts she works with include, but are not limited to, Old Bridge, Neptune, Union Beach, Monroe, Colts Neck, Sayreville, Tinton Falls, and Freehold, NJ. She will treat your child as her own. Most children who have speech and language problems will develop reading problems at some point. The Dynamic Learning Center works with children from Pre-K through High School. Mrs. DeFusco incorporates all areas of her learning expertise by pulling from her numerous certifications in Speech Pathology, Learning Disability Teacher Consultant, Elementary Education, and Teacher of the Deaf and Hard of Hearing to get your child ahead. Created by Barbara Wilson, the program teaches students the structure of words in a systematic and cumulative manner. Following this system helps students to trust that they can learn English within the system, and ultimately, deal with the irregularities of the language. This is a music listening method, personalized to improve brain fitness at any age or level of ability. TLP has global effects on the brain, and is commonly used to support changes in a wide range of brain performance areas: executive function, communication, auditory processing, social & emotional function, stress response, motor coordination, creativity. Semple Math is the complete, Basic Skills, Mathematics Program authored by Janice L. Semple. The program is based entirely on learning by association, employing fact and process mnemonics. Fast ForWord is a family of educational software products intended to enhance cognitive skills of children, especially focused on developing "phonological awareness".Fast ForWord does what no other intervention can do: it starts with cognitive skills like memory, attention and processing speed and works from the bottom up, using the principles of neuroplasticity. Fast ForWord aims to remediate the underlying difficulties that keep struggling readers and English language learners from making progress. The Stevenson Language Skills Program, Stevenson's Essential Grammar, Stevenson's Cursive Writing and other materials for teaching basic skills to both regular and learning disabled students. The programs use established techniques like mnemonics (memory aids) and multisensory instruction in imaginative new ways. The materials accommodate common problems such as dyslexia, attention deficits, phonological processing difficulties, memory weakness and sequencing confusion. PROMPT is an acronym for Prompts for Restructuring Oral Muscular Phonetic Targets. The technique is a tactile-kinesthetic approach that uses touch cues to a patient’s articulators (jaw, tongue, lips) to manually guide them through a targeted word, phrase or sentence. The technique develops motor control and the development of proper oral muscular movements, while eliminating unnecessary muscle movements, such as jaw sliding and inadequate lip rounding. PROMPT therapy is appropriate for a wide range of patients with communication disorders. The most common patients have motor speech disorders, articulation problems or are non-verbal children. Many patients with aphasia, apraxia/dyspraxia, dysarthria, pervasive development disorders, cerebral palsy, acquired brain injuries and autism spectrum disorders have benefited from PROMPT therapy. An evaluation by a PROMPT-trained speech therapist is the only way to find out if a patient is appropriate for the therapy. Learning happens everywhere. The DeFusco Center for Dynamic Learning is located in Manalapan, NJ. But it is imperative that parents continue to work with their children and their schools so learning becomes an integrated, 360-degree approach.